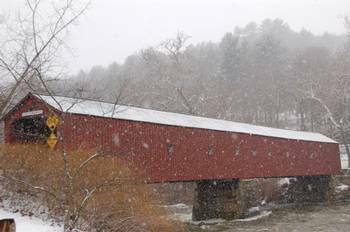 The much-photographed West Cornwall Covered Bridge spans an especially picturesque section of the Housatonic River. The bridge is listed on the National Register of Historic Places. It's a great example of a typical New England covered bridge.